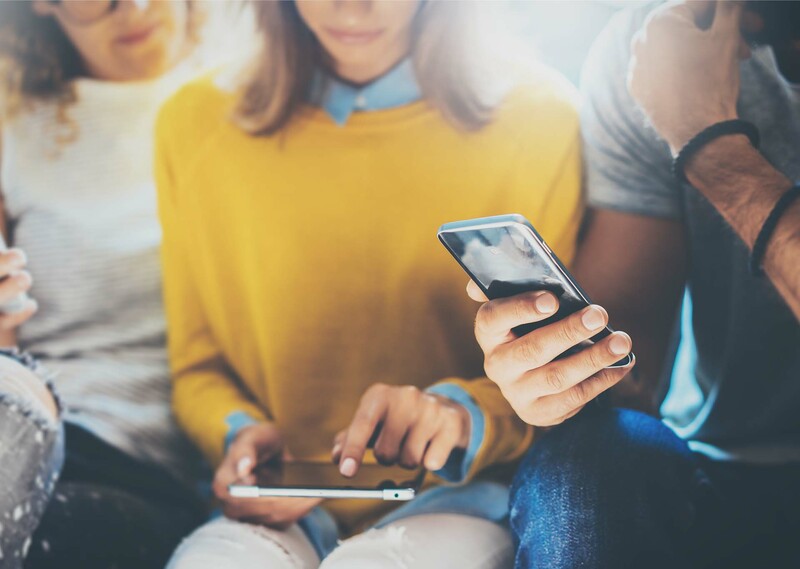 Since buyer personas cover so much detail about how potential clients want to learn and engage with companies like ours, it's critical that they be at the heart of all your marketing, sales and customer service communication. 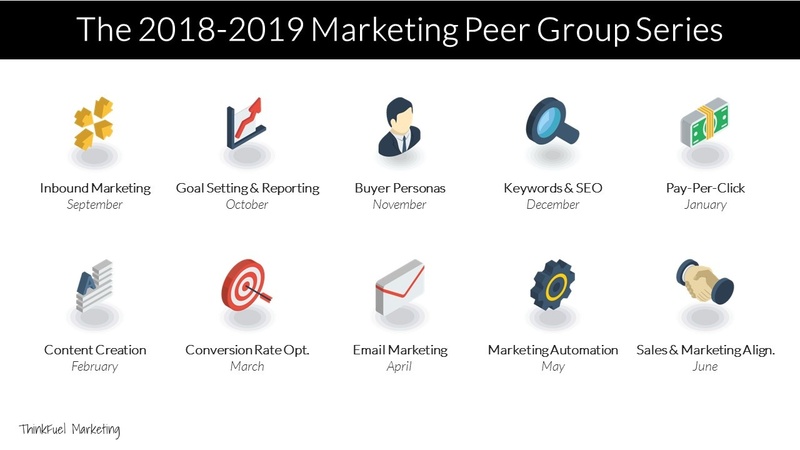 In this episode of the Marketing Peer Group we'll be looking at how to build better buyer personas so that you set yourself apart from your competition. 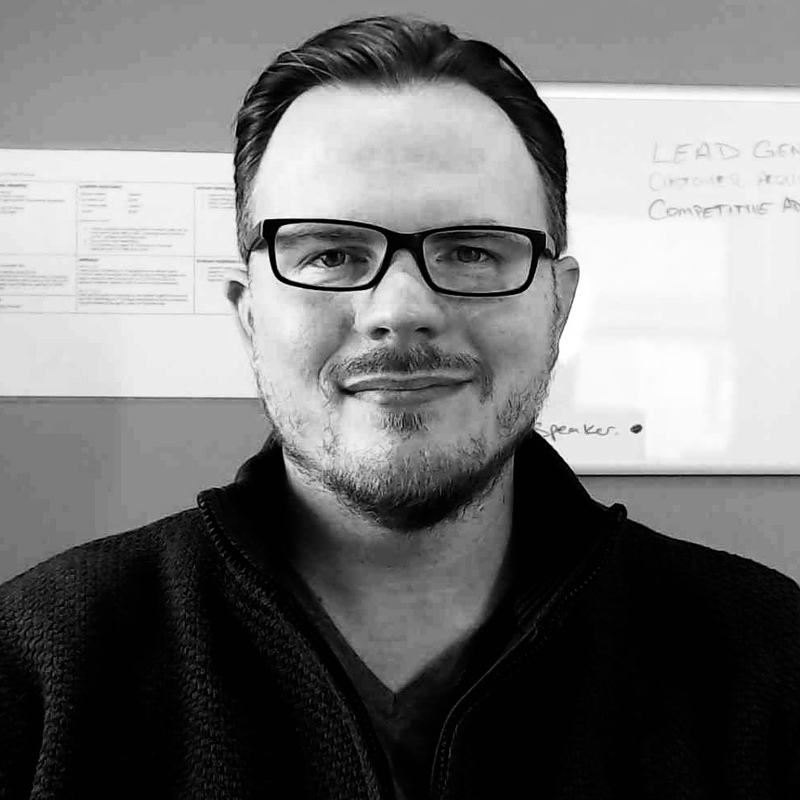 Hey there, it’s Kevin D’Arcy, bringing you the third installment in our marketing peer group series, entitled Building Buyer Personas. This is your key to successful messaging to your clients and prospects, so that you can generate more leads, and more opportunities for your business. So let’s start off by asking ourselves a few questions about what we already know about our target customers, or our buyers. So what are their strategic goals? How they are measured at their job, and what does “success” mean to them at their job? How do they like to learn, or absorb new information; do they go to trade shows, do they do online research, do they talk to peers, networking associations, things like that. What level of school do they have? What’s their biggest challenges, and not just as they relate specifically to your products and services, but overall, what are their challenges that they have in their day to day operations. And what’s the biggest threat to either their role, their business, or their industry? And now, when we look at these lists of questions, some of them seem pretty broad. In the sense that, do I really need to understand how their job performance is measured, and what success means to them, in order to sell them my products or services? My answer to that is absolutely. Every one of these questions that you see here is important to know, understand, and be able to answer for all of your ideal buyer personas. 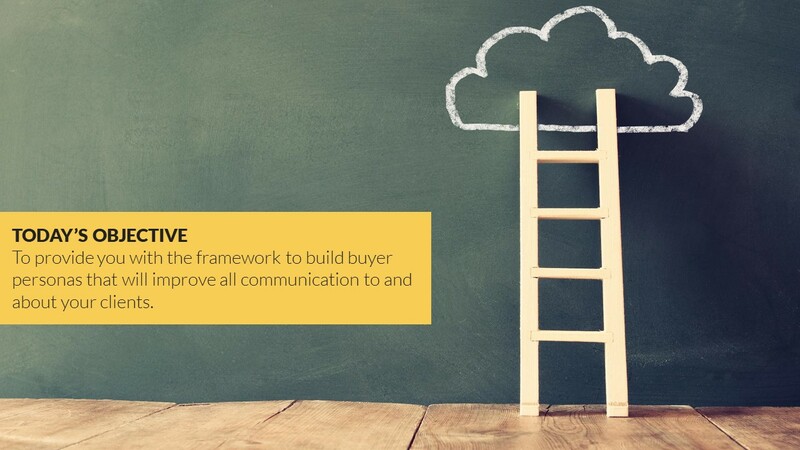 So today’s objective is to provide you guys with a framework to build your own buyer personas, that will improve all communication to your clients. And by all communication, I mean your marketing messaging to attract and convert, your sales messaging, to move prospects through your sales process. And, of course, your operations, or your customer service messaging, to continue to delight and create customers, who are lifelong ambassadors for our brand. So what are buyer personas actually? Well, they’re a fictional, generalized version of real people. They’re your best customers, we’re taking the common traits among them, and we’re creating a fictitious person. It provides a framework for our communication, because we start to understand where they go to absorb information. How they like to absorb information. The challenges that they’re having. We learn how to communicate them in their terms, not ours. They’re really the people that we want to sell to. Like I said, they’re fictional representations of amalgamations of our ideal customers, or the people we already work with, that are great customers of us. And here’s the most important part: all of this is based on market research and existing clients. Buyer personas can’t be developed solely by sitting around a boardroom table, with your sales team and your marketing team, and some executive staff, trying to cobble it together. You have to go out, and you have to do some research; you have to talk to your existing customers. You’re going to have to dig deep into finding out what’s important to them, and again, how they like to be communicated with. So, how many buyer personas should I have? Well, that’s kind of a trick question, there’s no such thing as having too many; you need as many as you need. What you may find is that if you have a very complex solution sale, such as enterprise software or something like that, you may say, okay, well, we sell into manufacturing, insurance, financial, and government. But within those, because you have a complex sales cycle, you may end up selling to directors, managers, IT staff, HR staff, finance staff, and each of those are going to have different goals, and objectives, and definitions for successes. So having a buyer persona just for government won’t work; you would probably need to have buyer personas for all of those different levels put together. On the flip side, if you had a very, very simple B2C type opportunity, you may only have one or two target markets. If you have software that’s specifically dedicated to single mothers, that’s a pretty narrow market that you could focus on. 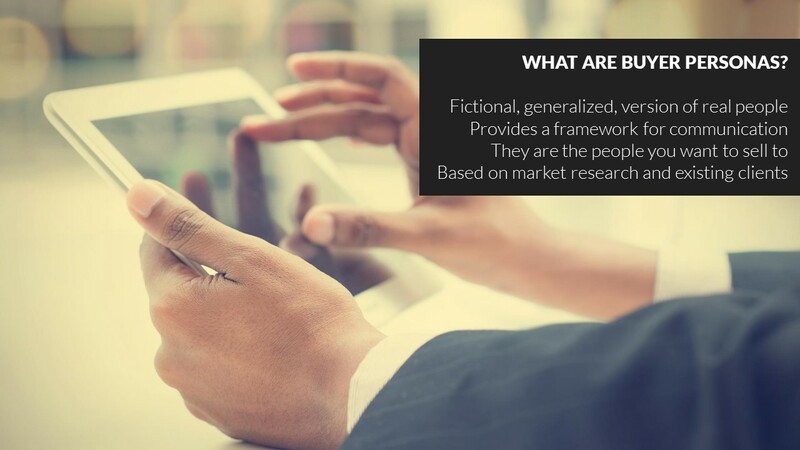 So let’s talk about ways that we can research buyer personas, and to try to dig deep into what’s important to them. So first of all, we need to interview clients, prospects and referral sources. So who are our best clients; who are the ones that, if I said I could have ten more people like this, I would be ecstatic, I’d be over the moon. And we have to go to interview those types of people. We have to interview our prospects as well, so people who we want to penetrate into their market, but currently, we don’t have that ability to, or we haven’t yet. So we want to interview them as well. And we want to look at referral sources, so people who are aligned with our target buyers, but aren’t necessarily our target buyers. So these might be other vendors of theirs, it might be associations that they’re a part of, things like that; where we can start to get a lot more information about what’s important to them, their goals, challenges, and so on. We want to look at our CRM software also for behavioral trends. 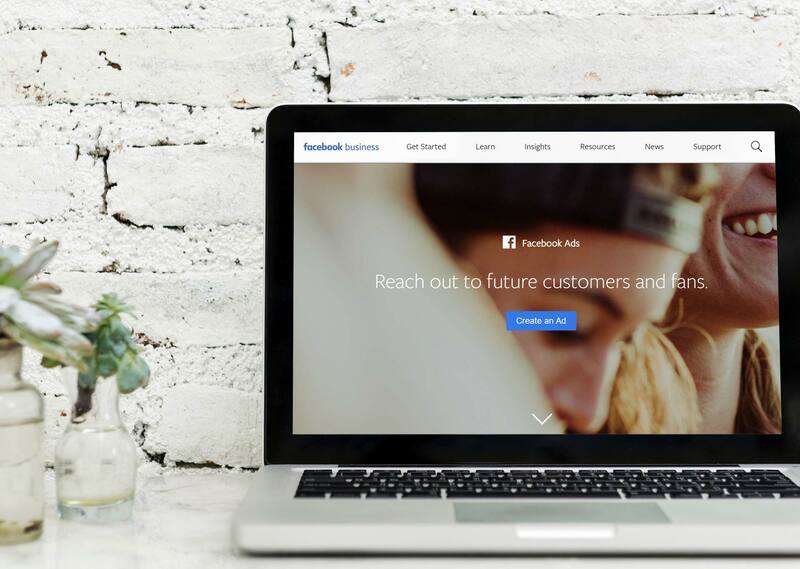 So what we want to look for is if we have the ability to link CRM data to how people engage with our website and online content. We want to see which blog articles, or white papers, or content pieces are our best people consuming. 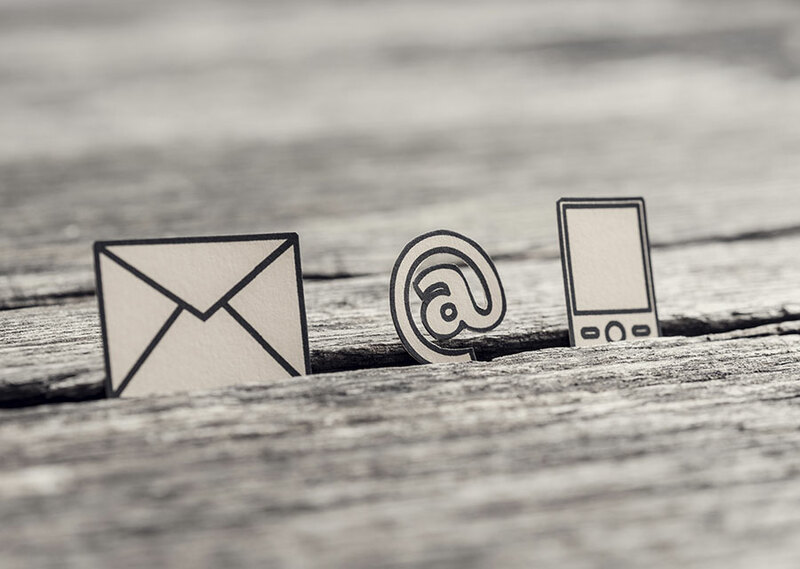 What email topics get the best results from them? Are we seeing a spike, or an influx in traffic, from a specific industry, or vertical? That could indicate to us that, potentially, there’s a regulatory change, or something that’s disrupting that market, that maybe we want to get in front of. We want to optimize the forms on our website for identifying target personas, and our ideal buyer prospects as well. And what I mean by that is if things like the size of the organization, the revenue of the organization, the location, are all important things, then let’s integrate those items into our forms. So that that way, we can quickly identify when people download content, request a quote, or want us to contact them. That we can easily identify if they fit within our realm or not, and which one of our buyer personas they’re going to fall into. Talk to your sales team, they’re the feet on the street; they’re the one in front of the customers on a daily basis, talking to them about your products, your solutions, how they can accomplish the goals or the challenges that the customer is having. They’re going to have some unique insight into criteria, factors, demographic and sociographic information, that makes up that buyer persona. And the last tip here too is, look at RFP and RFI documents. Now, I know a lot of companies, they have a very flat rule that if they weren’t involved in the development of the RFP or the RFI, then, they don’t respond. And I can completely understand that, it’s ultra competitive, low margins most of the time. And if you didn’t have a hand in the game, you’re probably the late runner to it. But the reason to look at these documents is that the people issuing these RFPs and RFIs very clearly articulate what their business goals are, to challenge what the current environment is. And what they’re looking for in a solution, and what’s important to them in a partner, or a vendor that they’re going to work with as well. So these documents give you really great insight into how you’re customers are thinking, and what they’re looking for. And the number one tip for when you’re doing interviews with your prospects, customers and referral sources is always continue to ask them why, after every question and answer, until it just seems absurd to even ask it again. So if they tell you that one of their biggest challenges is competing with much larger organizations in their space, ask them why that is. And what you’ll do is, as you continue to work down, you’ll find that maybe these larger organizations can invest more in technology. And you start to drill down, and you can start to figure out why these are real challenges, or goals, or objectives for them. So we’ve talked a little bit about how to create personas, and do your interview. 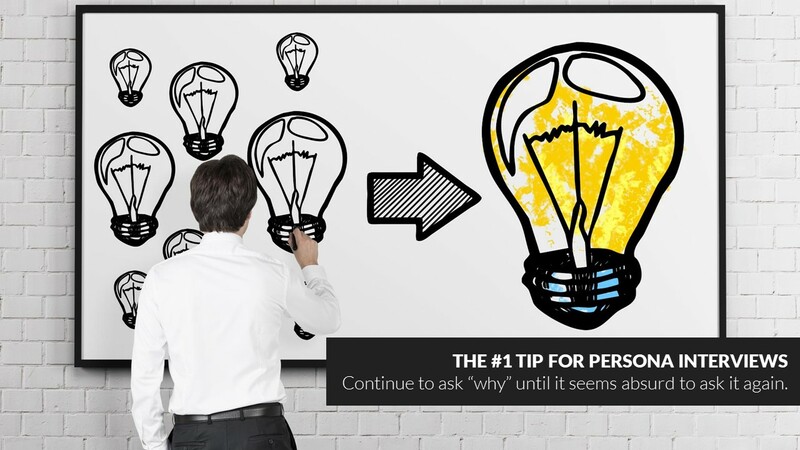 And below this video, you’re going to find a link to download these slides, as well as 20 interview questions that will help you build a persona. As well as a template that you can fill in to start pulling all of that information together. But now, once you’ve done that, you’ve interviewed some people, how do you use these personas? Well, one, you can start to reallocate your ad spend. If you talk to your target audience, and you find out that they really don’t spend any business time on LinkedIn, however, you’re promoting ads on Linkedin; it’s probably not a good use of your spend, you may want to move that around. You can also reallocate the human resources side of it. 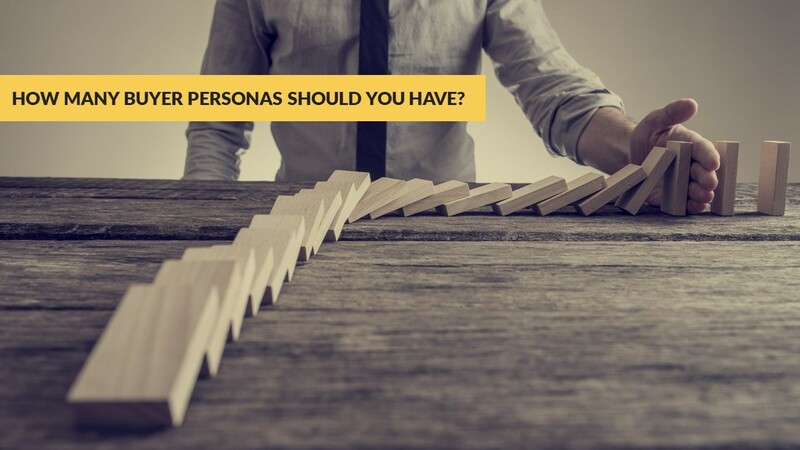 So if your sales people are calling on the wrong people, or starting the sales process in the wrong departments, that will start to become apparent when you do these buyer personas. So you can reallocate where people are spending their time. It will give you the opportunity to start using their language, not yours, and that’s not the critical part here on everything you do. Whether it’s blogs, websites, brochures, white papers, e-books, anything like that. You need to make sure that you’re using their language, for two reasons. One, they’re going to use their language to search; so we want to optimize our website and our content around that content, or around those keywords. The second reason is that we want to seem that we’re knowledgeable, reliable, trustworthy, and credible. And if we are not in line, or attuned, to their vocabulary, their language for how they describe their challenges and problems and issues, then we’re not going to come across as being in tune with what they are looking for. Buyer personas also give you the ability to further segment your marketing list. So instead of sending a general monthly email to all few thousand people you have in your contact database, you can start to segregate those into your buyer personas. 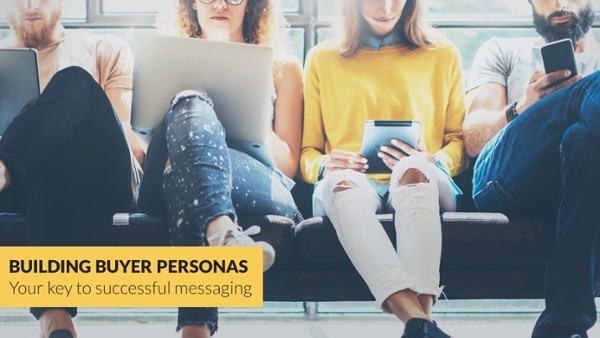 Then, you can target each of those people with specific messaging around what’s important to them. Always keep in mind that one piece of content -- and again, I’m talking brochure, blog, e-book, white paper, you name it, social media post -- is targeted to one persona. We’re not trying to talk to everybody within a specific vertical or market, with an e-book; we’re trying to talk to the person who that book is geared towards. Then, you need to go back and audit your existing content. Does it make sense for everything that we’ve been talking about? Are you using their language? Is it targeted towards these buyer personas, and the real challenges, problems, and issues that they’re having. You can also use dynamic website content, if you have a platform that supports that. And dynamic website content is, essentially, information that changes in real time on our website, depending on who’s visiting. 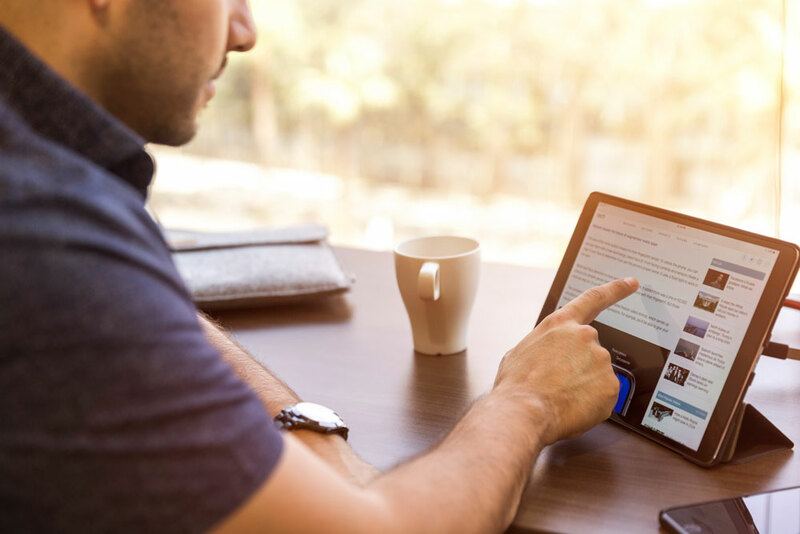 So if we have a customer, somebody who is already doing business with us comes back to our website, we can show them content that is going to, hopefully, either push them towards either leaving us a review, making a referral, or expanding our business services with. If somebody who is brand new, we have had no interaction with before, they’ve never done business, or filled out a form on our website, they’re going to see a different set of content. They see something that pushes them towards starting the buyer’s journey with us, so they’re probably at their research phase. And we want to give them direction towards some of our research material. And finally, co-market with companies your personas follows, or engages with or is aligned with. This could be a variety of different things, such as doing a co-webinar with an association that they’re a part of, other vendors, things like that; organizations that they have trust and credibility in. Find ways to work with those people to co-market. So that essentially wraps up our buyer persona presentation for this month. Here, you can see all of the other ones that we have done already, such as the inbound marketing landscape, the goal setting and reporting; these can all be found on the resources section of our website, at thinkfuel.ca. We’re also going to be talking in the coming months about keywords and SEOs, pay per click advertisement, creating content that converts people into leads that we can nurture. We’re going to talk about conversion rate optimization, so how do we design our websites to make sure that people are converting on our forms and our content. We’re going to talk about email marketing, moving past that general newsletter that goes out. We’re going to move into marketing automation, about how you can do more with less, and make sure that no lead is left behind. And finally, we’re going to wrap it up by talking about how sales and marketing can align better together, to unify the communication and the messaging to the customers. So again, below this video, you’ll find links to download three elements. One is the slides for today. Two is 20 questions to ask somebody during a buyer persona interview. And three is a template that you can start filling out, to create your very own buyer personas. So thanks again everybody, and check back for upcoming videos in our marketing peer group series. Complete the form below to get your own copy of the slide deck, the buyer persona template and 20 questions you should ask during a person interview!